Art and design forms are omnipresent! Whether its shaped from a rock or metal or colored on a canvas that is blank or they are accessories inspired by the art of photography—there are seamless ways in. Calling all design and art enthusiasts! 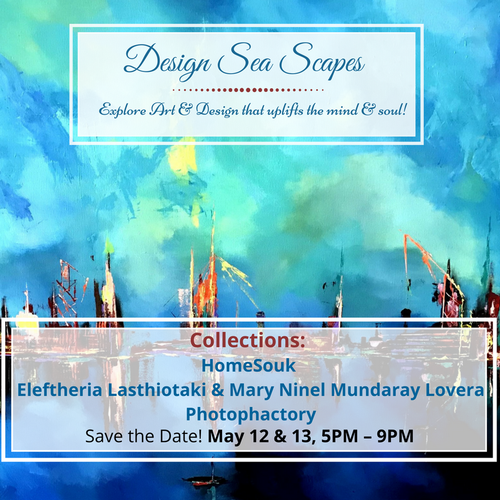 Come explore our collections…let's also have some conversations over some wine and cheese, on creativity, and all things design! For the event registration, visit the link.